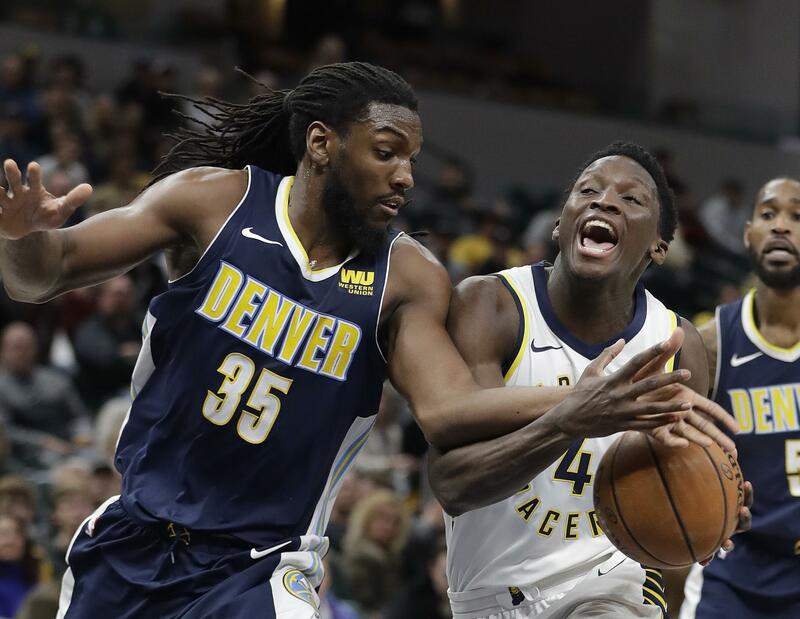 Fri., July 13, 2018, 6:42 p.m.
NEW YORK – The Brooklyn Nets have acquired forwards Kenneth Faried and Darrell Arthur along with a 2019 first-round pick from the Denver Nuggets. The Nets also received a second-round pick in 2020 in the trade announced Friday. They sent guard Isaiah Whitehead to Denver. Denver, looking to cut costs after giving new deals to Nikola Jokic and Will Barton, subsequently waived Whitehead. Faried averaged 11.4 points and 8.2 rebounds in seven seasons in Denver, though his playing time declined and he appeared in just 32 games last season. Arthur has spent nine seasons in the NBA, first with Memphis and the last five with Denver. Both players are in the final years of their contracts. Faried is due $13.8 million next season and Arthur $7.5 million. Whitehead, a second-round pick in 2016, appeared in 89 games over two seasons for Brooklyn. Published: July 13, 2018, 6:42 p.m.